BroomPower community hydro, which officially began generating electricity on 18th November 2017, is a community renewables scheme for the Lochbroom area of the Scottish North West Highlands. 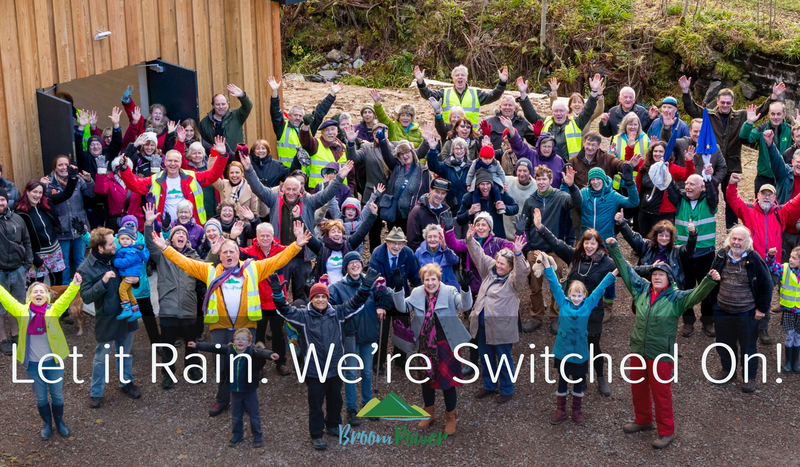 The hydro is owned and run by Lochbroom Community Renewables Ltd, a Community Benefit Society, set up by Ullapool Community Trust (UCT) to identify and run renewable energy projects. It is staffed entirely by volunteers. There are over 450 investors in BroomPower. 54% are from the local area and 46% from the wider UK and beyond, including the Netherlands, France, US and Japan. Many local investors did so on behalf of children and grandchildren highlighting the long-term community and environmental benefit of this community-owned renewables energy scheme.